The United States military participated in the Korean wars to liberate South Korea when it was forcefully invaded by North Korea as an act of aggression. US military personnel fought dutifully as members of the United States Army, United States Navy and the Air Force. Winning lots of accolades and medals for their bravery and courage shown under fire and distressing conditions, these personnel were honored at home and abroad. However, some military personnel were discharged under the category of undesirable discharge. This occurred due to those personnel being mentally unfit to perform the services required under military rules and regulations. The section 8 of the US military guidelines refers to previous discharge guidelines utilized by the US military. It states that personnel can be discharged from the United States military on grounds of being mentally unfit to serve in their positions. The most common definition is utilized by the US Army when a person is discharged after psychological tests are conducted and the overall character traits and aptitudes of the person are assessed. If there are certain character traits that are undesirable then the person is released under a psychiatric discharge rather than honorable discharge. That means that the person is emotionally and mentally unfit to perform military service. Another situation used as grounds for an undesirable discharge is associated with soldiers who have behaved inappropriately while serving in the US military and under the command of superior officer. This undesirable discharge is awarded when the person is found guilty of behaviors that lead to a withdrawal of veteran’s benefits but not the loss of citizenship rights, whichinclude the right to vote. However, there are many regulations that govern both these forms of undesirable discharge today. There are different psychological and psychiatric provisions as well undesirable conduct, which are all categorized separately. Those diagnosed with a personality disorder are dealt with separately as compared to those who have performed an undesirable act while on duty or off duty but as part of the military personnel. Mental issues may include claustrophobia and fear of being locked in tanks and isolated places or may include incidents where people start hearing voices and become paranoid about being hunted down by enemy forces. However, on the flip side if military personnel of fit mental condition and psychological disposition are seen to indulge in lewd or inappropriate behavior or found to use excessive violence then those types of behavior are also grounds for an undesirable discharge. Both of these provisions existed for military personnel who fought during the Korean War. There are many cases of military personnel who have been let go through the use of an undesirable discharge during the Korean War. These are mainly related to inappropriate behavior while functioning on the Korean theater of operations. While some cases occurred in retaliation to excessive force utilized by the North Korean military, the US government and military took severe attitude toward any retaliation towards North Korean citizens by the US military members. After the Korean War quite a few of military personnel were given undesirable discharges on account of the Korean War. This was mainly because those military personnel lost their psychological balance after the ravages of war. 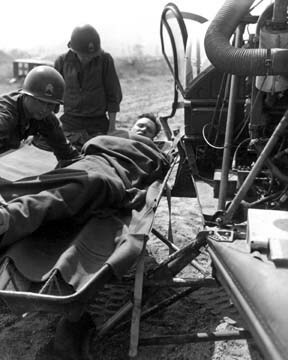 From extreme mental exhaustion to psychological distress, military personnel who fought in the Korean War developed different psychological issues and therefore had to be given undesirable discharges.